J.W. Fisher Property Maintenance has 25 years experience working in Reading and surrounding areas providing a reliable personal service to it's clients. We pride ourselves on providing a personal service to clients throughout the local Berkshire & Hampshire areas. The company has been situated at The Forge, Burghfield since 1992. The Company aims to provide Clients with professional, reliable Painting and Decorating services along with Property Maintenance. We aim to provide a high quality, reliable professional service no matter how small the job. We also have public liability cover. J.W. Fisher Property Maintenance prides itself on it's reputation built on 25 years of customer repeat business. CONTACT US FOR A NO OBLIGATION, FREE QUOTATION FOR ALL YOUR REQUIREMENTS. 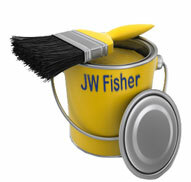 JW Fisher operates in and around the Reading area.